Mercedes-Benz models have been long known for their luxurious interior and sophisticated performance. However, there are some Mercedes-Benz models that deliver exceptional fuel economy as well. Mercedes-Benz of Fairfield ranks the Mercedes-Benz SUVs with the best gas mileage for Napa drivers below. The Mercedes-Benz GLA 250 SUV gets the highest fuel economy compared to the other Mercedes-Benz models, with 24 MPG city and 33 MPG highway. The Mercedes-Benz GLC 300 gets 22 MPG in the city and 28 MPG on the highway. The Mercedes-Benz GLE 350 gets 18 city MPG and 23 highway MPG. The fuel economy of Mercedes-Benz GLS 450 is comparable to that of the Mercedes-Benz GLE 350, getting 17 MPG city and 22 MPG highway. 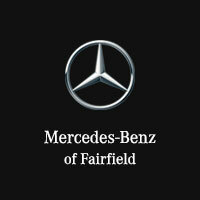 Contact us at Mercedes-Benz of Fairfield to schedule a test drive or explore our inventory of new SUVS and wagons.